North West Casual Classics was formed in 1995 by a group of motor enthusiasts who, at the time had a varied collection of motor vehicles. These included a truck, moped, camper, classic caravans and of course classic cars. We remain a friendly, multi-vehicle, multi-make club to this day with vehicles from every decade from the 1920’s to the 2010’s. We have a strong and enthusiastic committee and over 100 members with an even larger number of vehicles. Our Events Team organise both runs and static displays throughout the year. Club Stands include Tatton Park, Walton Hall, Lymm Transport Day, Frodsham Classic Car Show, Widnes Vintage Rally and many more. We also organise our own early June ANNUAL SHOW which is held in conjunction with the Hale Village Carnival in Merseyside, That show attracts well over 100 vehicles from clubs and individuals alike and with its accompanying attractions of various stalls, Fairground and Live music. Club runs always include the National Drive-It Day in April, a Boxing Day outing to a Steam Rally, plus others during the year. As a club we support two charities, MARY’S MEALS and another charity which the membership chooses at the December AGM. We are a family friendly club and as such, our events and drives contain things other than a line of cars. Well behaved dogs are also welcome! 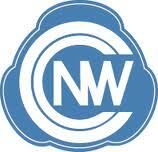 North West Casual Classics has a FACEBOOK page with pictures, discussion and lively banter. Younger members are something we are actively seeking as we see them as the future of the Club. With them come the more modern classics and they too are very welcome. Please attend our next meeting.